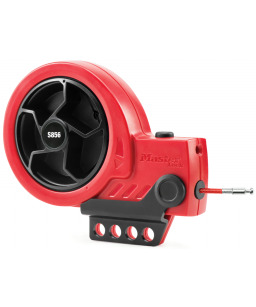 Master Lock S856 retractable cable lockout devices, incorporates a cable take-up reel that is intuitive and ergonomic. 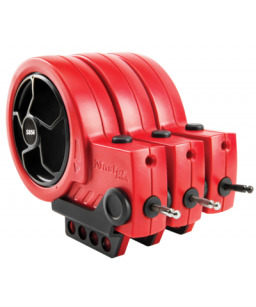 The reel encloses the cable, providing improvements in storage and transport. 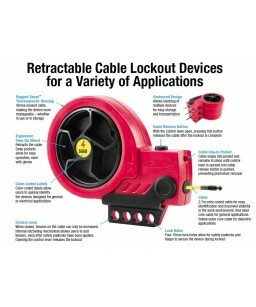 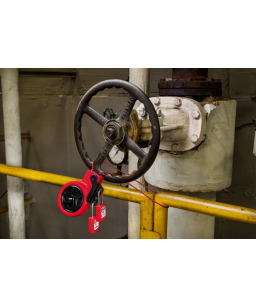 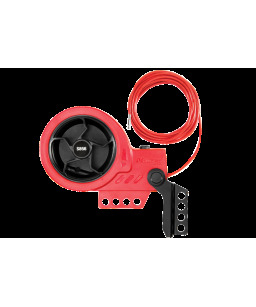 The reel’s ratchet feature allows authorized personnel to remove slack in the cable before and during the lockout. 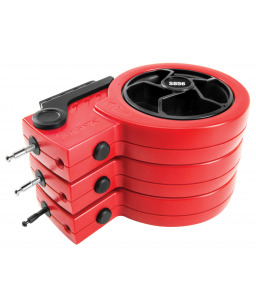 Like the S806, the S856 includes a stranded steel core cable that provides the strength and flexibility necessary for challenging applications in the toughest conditions. 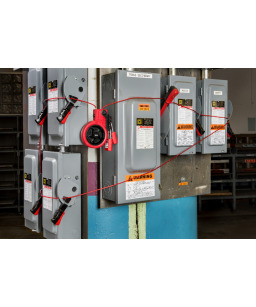 The S866 has a cable with a nylon core making it ideal for applications requiring high electrical resistance to protect the worker. 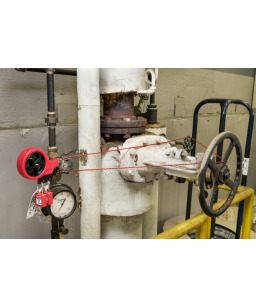 Both models come with two standard “Danger” labels, a trilingual label with English, French and Spanish and a write-on label that allows end users to add text as needed. 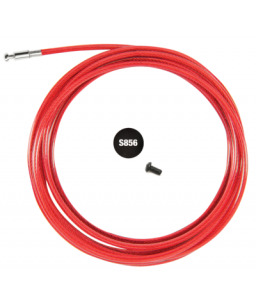 Replacement cable kits are available, enabling end customers to replace old and worn cables or convert from a steel cable to a nylon cable (or vice versa) at a fraction of the cost of a new device.